UK network EE has launched a tablet named the Eagle, which costs £200 and comes with a 4G LTE connection. Its announcement comes shortly after the network unveiled the Kestrel smartphone, notable for being its cheapest 4G LTE phone available, proving EE’s keen to build up a catalog of competitively priced hardware supplying its high-speed data connection. Details on the EE Eagle are only just coming through. We know it has an 8-inch screen, which fits in with the current trend, but we’re not sure about the resolution. 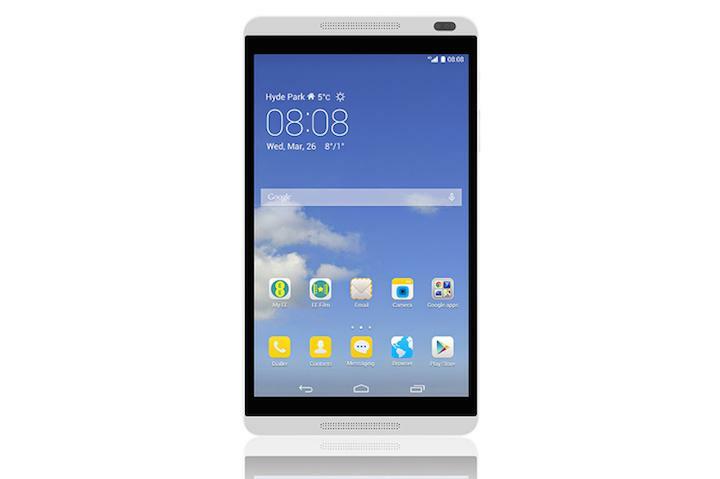 However, we do know it’s based on the Huawei MediaPad M1, so we can make some educated guesses. The resolution on the Huawei-branded device is 1280 x 800 pixels, and it’s powered by a quad-core, 1.6GHz Kirin chip of the manufacturer’s own design. EE has confirmed to Pocket-Lint the Eagle tablet comes with 16GB of onboard storage memory, and there’s a MicroSD card slot to boost this by a further 32GB. A 5-megapixel camera is on the back of the tablet, and if it follows the M1’s spec sheet, the front facing camera will have a single megapixel. Sadly, the EE Eagle will be using Android Jelly Bean as its operating system, which puts it well behind the latest devices from other manufacturers. EE will be hoping the promise of 4G LTE connectivity will see people flock to the Eagle. The tablet will be sold on a contract, or as a Pay As You Go device. The former option has the tablet priced at £50 ($85), on a £15 ($25) per month contract with 2GB of data included, while the latter PAYG option will mean spending £200 ($337) up front. In the UK, EE’s Eagle will be pitted against not only the stars from Amazon, Samsung, and Apple, but also from the likes of Tesco. The supermarket recently confirmed a sequel to the Hudl tablet will be out later in the year, and it’ll be interesting to see how it compares to EE’s offering. The EE Eagle will land on May 28.